Eight friends like Jesus. 14 Like Michael Jackson. Huh. 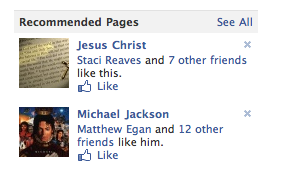 Actual screen capture from my Facebook page recommendations today.